Alright this is the second in my series of how to play all 14 Ultima games on a modern PC. For this post I won’t get into acquiring the game files, installing DOSBox or justifying why do this myself when I could just get the games via GOG. Please see my first post, on Akalabeth, for my comments on those things. So here goes how to play Ultima I on a modern PC. 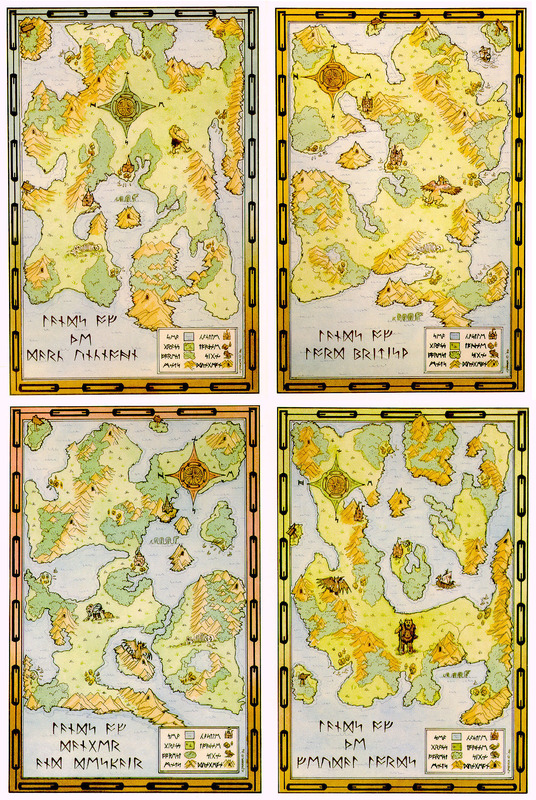 The key acquisition for all Ultima games is the provided map. The best place to get most of these is from the High-Resolution Ultima Map Project. Here is the link for the 4 Ultima I maps. Next is the manual. Once again replacementdocs.com to the rescue. Here is a link to the manual for the MS-DOS port of Ultima I. Not so much luck for the Quick Reference Card. Best I could find was this, which is the Quick Reference Card for the original Apple version of Ultima. Besides the Movement keys it should be close enough. Again, this is simple. Copy all the game files to your machine. Choosing a path that only contains folders with less than 8 characters and contains no spaces will make your life easier in the next step. For reference, I always choose “C:\Games\ultima1”. I have never run into this bug personally, but its an easy enough patch to install so we will go ahead and just do it. First, for safeties sake, copy C:\games\ultima1\out.exe to C:\games\ultima1\oldout.exe. Next, download the zip file containing the patch from here. Open the zip file and copy newout.exe to C:\games\ultima1\out.exe. Fire up DOSBox, this can’t go worse than it did for Akalabeth, and execute the following commands. It works on the first try! The game actually runs pretty well at the default 3000 cycles, but for a more authentic feel you can reduce the cycles with Control-F11 until the cycles is ~500 (again what ever feels right). Again control-F12 increases the cycles and Alt-Enter puts DOSBox into fullscreen mode. Now to summarize when you want to play the game from now on, just run the following in DOSBox.